WHAT IS THE ENERGY PERFORMANCE CERTIFICATE (CERTIFICADO DE EFICIENCIA ENERGETICA)? 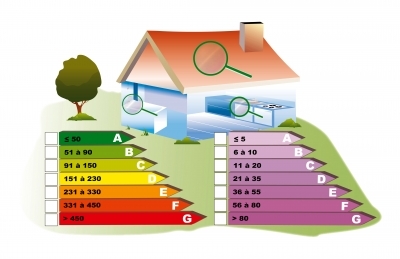 From June 1st the Energy Performance Certificate will be required in all contracts of sale or rental in Spain. This regulation comes from a European Directive and it is already in force in other EU countries. This certificate analyzes the demand and energy consumption of a building and its result is summarized in a label very similar to what we’re used to seeing in appliances. With a color code, it classifies households according to a scale ranging from the highest category, the “A” (lower consumption), to the lowest, the “G” (higher consumption). It also incorporates some measures recommended by the relevant technician in order to consume less and reduce the amounts of the bills. Be aware that the certificate should be included in the information that the seller or landlord must provide to the purchaser or tenant when selling or letting the property, so this document should be available before entering into any transaction. The Energy Performance Certificate is valid for 10 years. A qualified technician must visit the property and take the necessary information to issue the certificate and sign it. You don´t need a particular grade to sell or rent your home. You just need to ensure that you get this certificate for prospective tenants or buyers. However, a good grade will definitely add value to the property. The cost of the energy performance certificate shall be determined by the market. There are no official prices for this work, and currently there are a lot of companies offering this service, but you must be careful, because the Energy Performance Certificate should be signed by a competent technician like an Architect, Technical Architect, Engineer and Technical Engineer, and it must be authorized by the Ministry of Industry. Isolated buildings or units with a total useful floor area of ? ?less than 50 m2. Buildings or Properties used or intended to be used for either less than four months a year or for a limited time a year and with expected energy consumption of less than 25% of which would be of use throughout the year. If you are interested in selling or letting a property, we can help you checking if it is applicable to your property or not, and if you need it, we can deal with several companies authorized to issue these type of certificates. This article has been written in collaboration with David Lorenzo García, Spanish lawyer and intern at DWF LLP. ← Can I renounce to an inheritance in Spain?